Drums that capture the sound, look and feel from decades past. Hand-crafted one-at-a-time, to ensure that each drum receives the highest attention to detail possible. Our drums are created using modern-day shell construction methods and hardware; yet our approach to production is old-school and "hands-on". The marriage of these two worlds has given birth to our Modern Drums with Vintage Soul. THANK YOU FOR YOUR MESSAGE, WE WILL GET IN CONTACT SOON. Roberts Drum Company is a small, boutique drum manufacturer located in the quiet foothills of Northern California. Simply put, we have a passion for vintage drums. These older drums seem to have a "mojo" and a magic about them that we feel is missing from most drums being manufactured today. Their warm tones, rounded attack and soft feel have become the go-to sound for many recording studios and touring drummers alike. 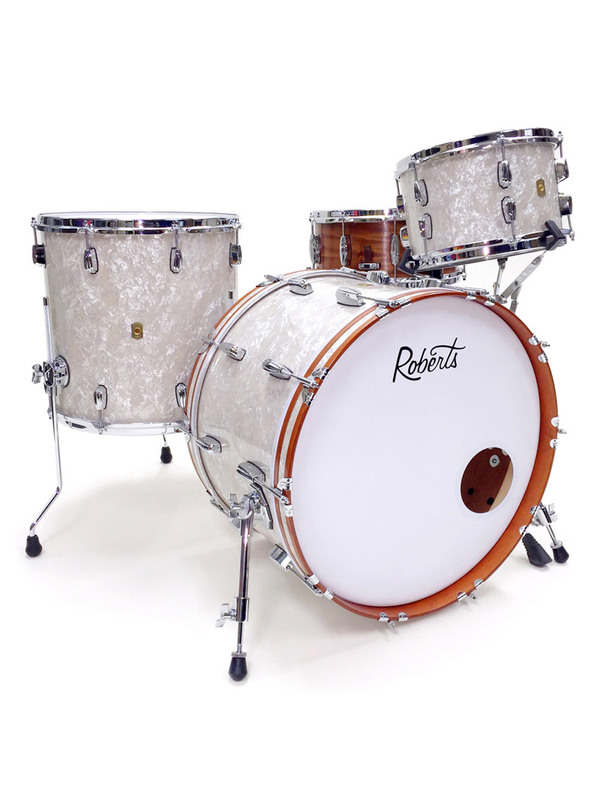 Here at Roberts Drums, we aim to create new drums that capture the sound, look and feel of drums from decades past. Our mission is to return to the simple ways of drum building. We are hand-crafting our drums one-at-a-time to ensure that each drum receives the highest attention to detail possible. "Sometimes I have the rare privilege of knowing someone who is determined to see their dreams come to life. Settling for comfort and mediocrity is an all too familiar story in this day and age, which is why I light up when someone decides to follow their Miltonic conviction and sets out to change the world. For some it's a social change, for others it's spiritual. For this man, his dream came out of the fires of unemployment, losing his house and endlessly searching for a job in a market which couldn't sustain him. All the while, God was birthing something inside of him. Roberts Drum Company is his diamond from the fires of the coals of hell. He doesn't tell you that side of his story-and most men won't when in his position. That's the part of the story you never get to see unless you have the rare privilege of knowing the dreamer as a friend. Brian is a friend of mine, a rare bird who is setting flight. I've watched this dream go from a stirring in his heart, to a "what if?" and now to reality. We've shared coffee, tears and many moments of prayer together. He's a good man. He's a follower. He's a leader. He's a great drummer. 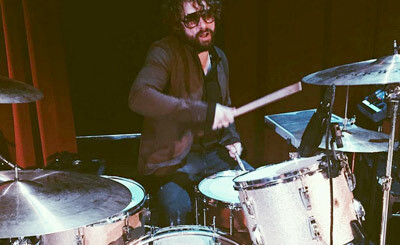 And now he's setting out to make the kind of drums that no one else is making: Modern Drums with Vintage Soul." We believe that our drums are much more than the sum of their parts. And yet, each individual aspect of our drums plays a vital role in producing our signature sound. 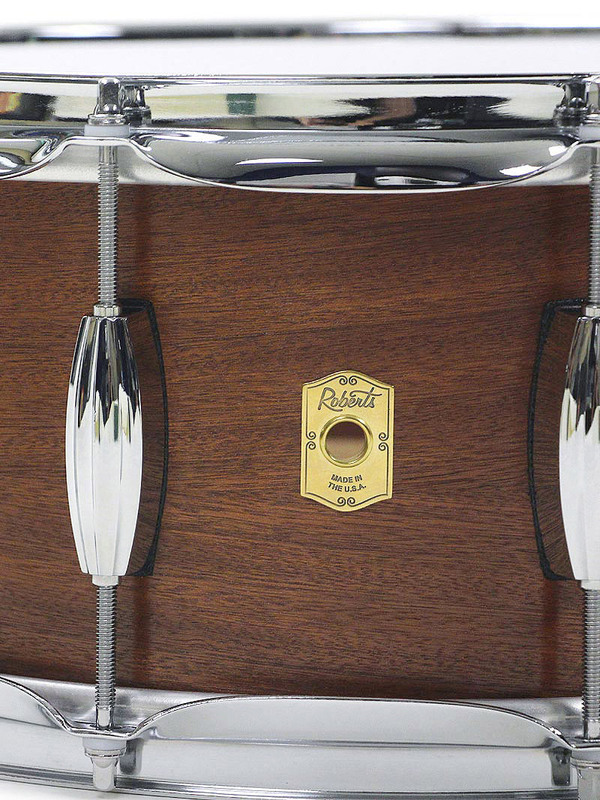 From the drum shells and bearing edges to the finishes and hardware, each element comes together to create our unique blend of classic and modern. There is a level of deliberate simplicity and elegance in our construction that is not often found in the industry today. We hope our drums will inspire artistic and musical creativity for years to come. 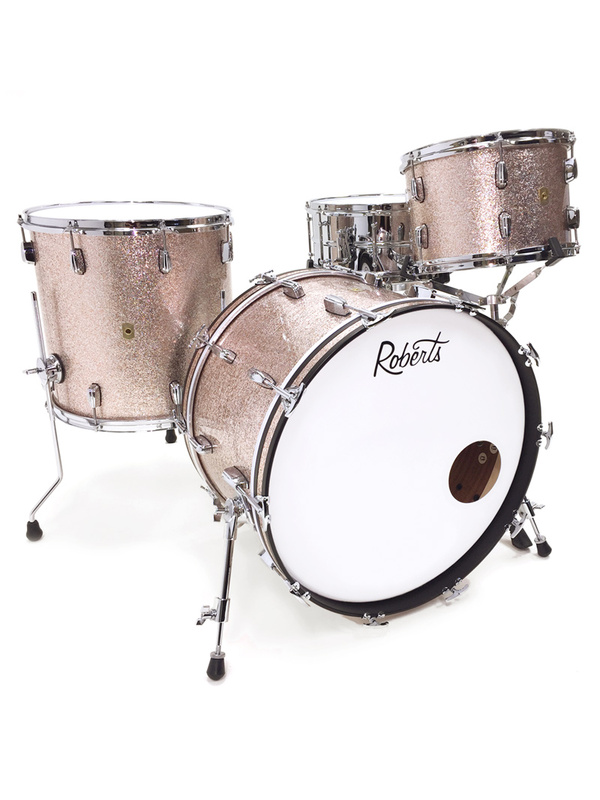 Take a look through our site to see some of our latest creations and catch a glimpse of the heart and soul of Roberts Drums. Follow us on Instagram for more frequent updates and feel free to contact us if you'd like to talk more about what we're doing. We'd love to chat drums with you! All of our drums are created using modern-day shell construction methods and hardware; yet our approach to production is old-school and "hands-on". The marriage of these two worlds has given birth to our Modern Drums with Vintage Soul. At the center of Roberts Drums are our drum shells. These shells are a modern interpretation of the sought-after 3-ply shells found on the classic American drums from the 50's, 60's and early 70's. 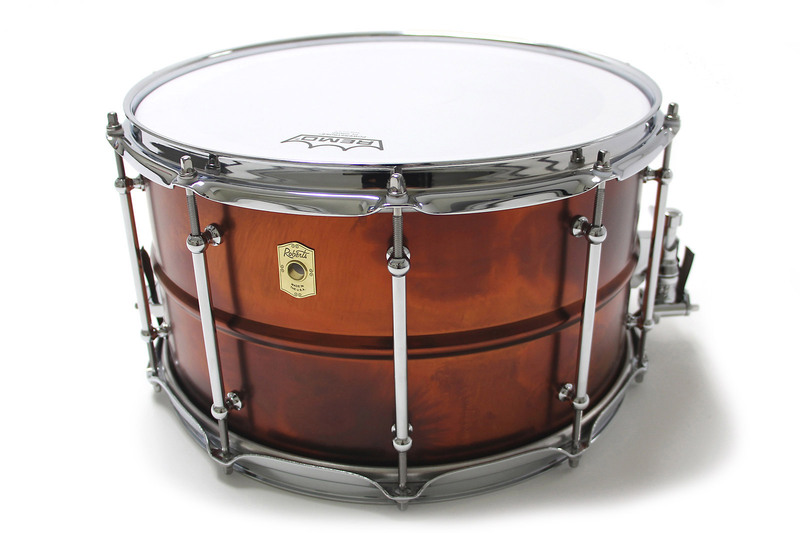 Our shells are 6-ply, with inner and outer plies of either African ribbon mahogany or American rock maple and a 4-ply poplar core and feature maple reinforcement rings. 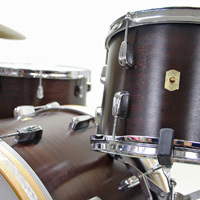 Our mahogany/poplar shells have been our most popular selling shell to date. These shells embody the timeless drum tones from the 1950's and 60's. They are darker, have a rounded attack, along with a smoother and more pronounced low end and are wonderfully warm. They have a naturally eq'd sound and are somewhat controlled, with very little need for dampening. This makes them a perfect choice for both studio and live use. 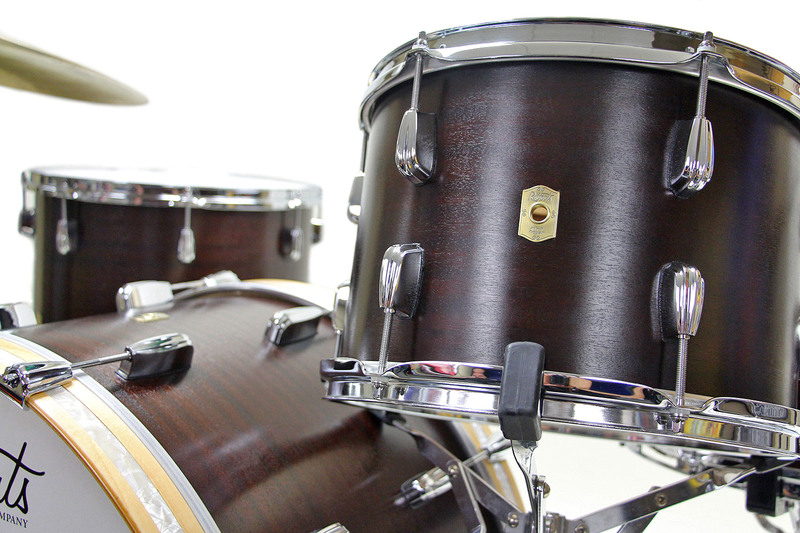 Our maple/poplar shells are reminiscent of the great rock drum tones from the early 1970's. These shells retain the warmth of our mahogany shells, but are a little drier with a more accentuated punch. They provide additional volume and a crisp attack, which makes them an extremely versatile option for any style of music. 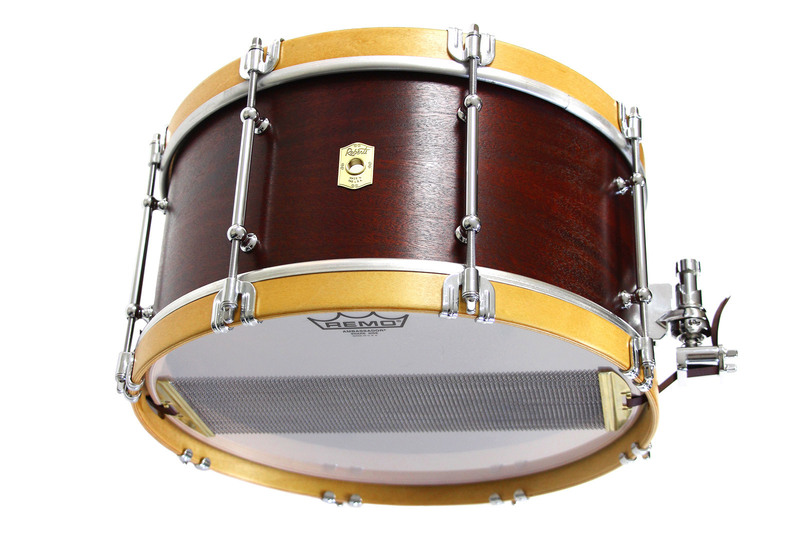 Brass is our favorite shell material for metal snare drums. These shells produce a loud and full-bodied crack with a wide tuning range, while still offering warm resonance and very musical overtones. 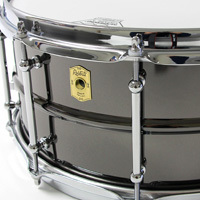 Enhanced snare sensitivity is provided by wide and shallower snare beds, which can accommodate any width of snare wires. These shells come standard in black nickel plating, but are also offered in chrome or tarnished copper plating as upgrades. 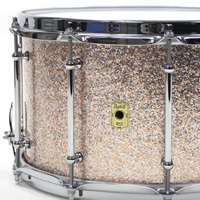 A great alternative to brass, aluminum snares tend to be drier and more focused than their brass counterparts. These shells are more articulate with a shorter sustain, and are a good option for someone who is looking for a sound that is somewhere between brass and wood. 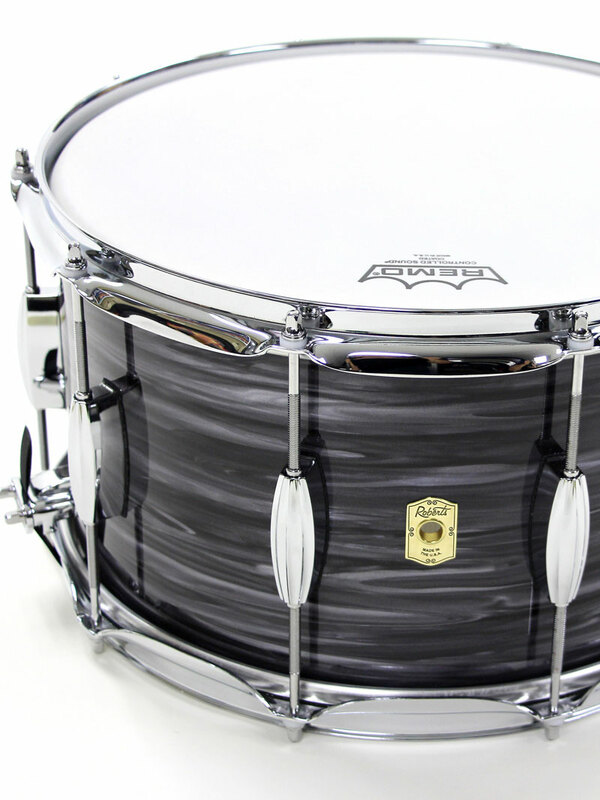 Our aluminum shells feature a fully rounded top bearing edge for a fat and powerful attack while keeping a 45 degree resonant edge for maximum snare sensitivity. These shells are finished in a brushed satin aluminum. Aside from the drum shell, the bearing edge plays the largest role in creating the overall sonic character of our drums. 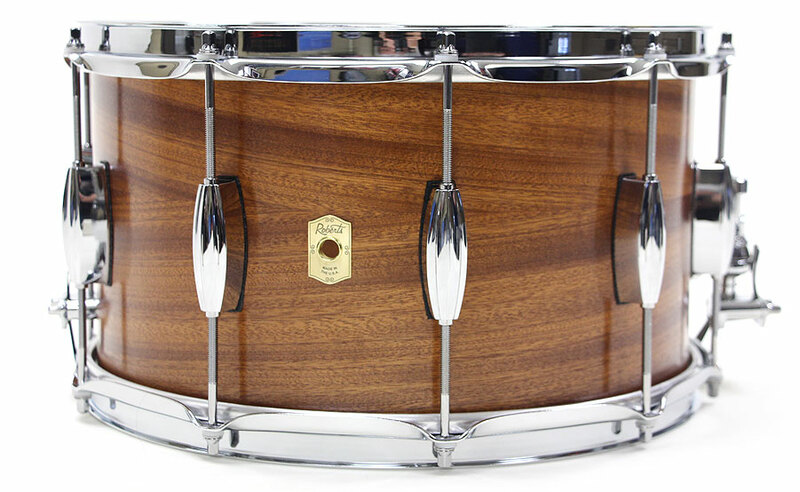 Here at Roberts Drums, we've developed a bearing edge that is rooted in the round over vintage edges used 40+ years ago. We combine a radius outer cut with an inner 45 degree cut to give the drums a warm and rich tone that is also full and punchy. Our bearing edges are carefully routed and then meticulously hand-contoured and sanded to make sure that the profile is just right. The combination of our shells and bearing edges come together to create a sound that is instantly classic and vintage and yet, provides extra depth and life in the sound that is sometimes missing from older drums. Our standard lug is a replica of the classic Radio King beavertail lugs from decades past. 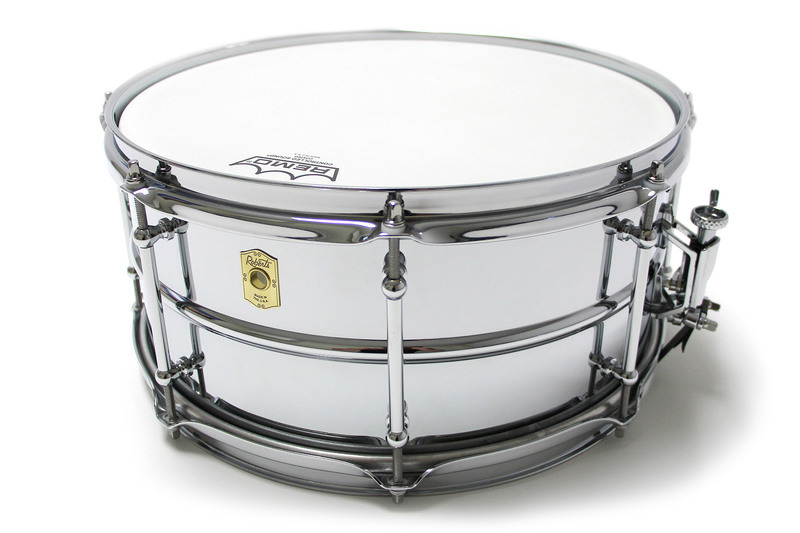 These lugs are high-quality die cast fittings and are chrome-plated to give our drums an elegant and understated look. 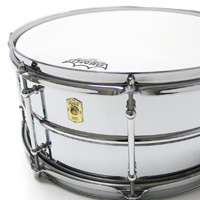 Single-ended lugs are for toms and bass drums, while double-ended lugs are for snare drums. 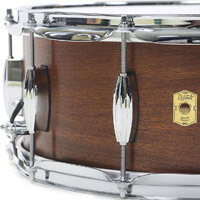 Tube lugs are also available and tend to be a popular upgrade, especially for snare drums. 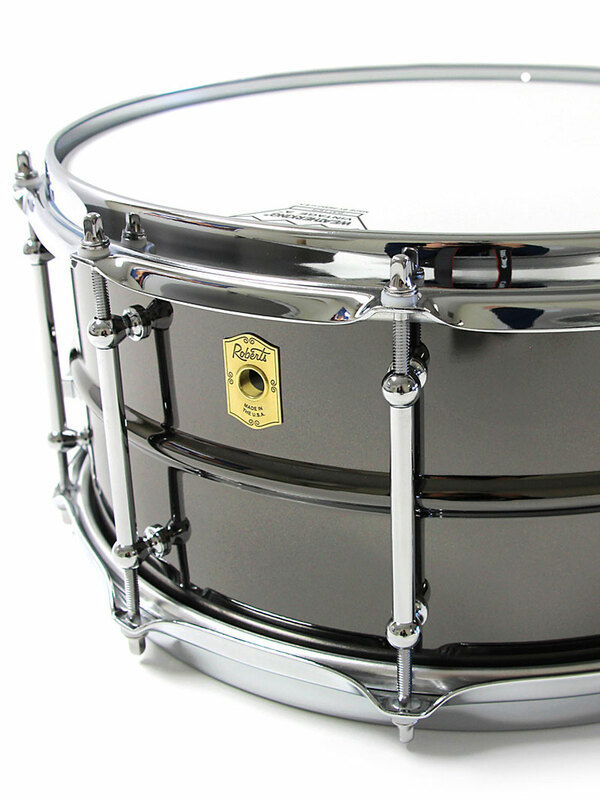 Steel 2.3mm chrome-plated counter hoops come standard on our toms and snares. 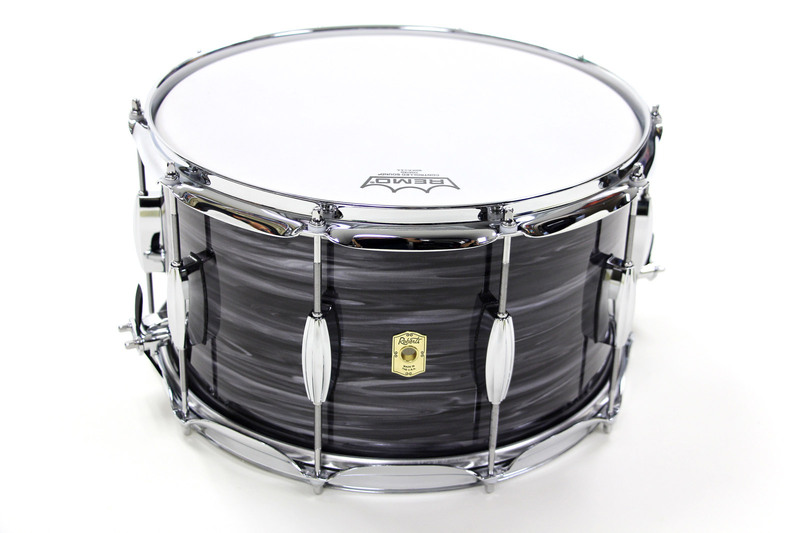 These hoops give the drums a more open tone, provide reliable and accurate tuning and promote a wider tuning range. Die cast, stick-saver and single-flanged hoops with clips are other popular upgrade options. 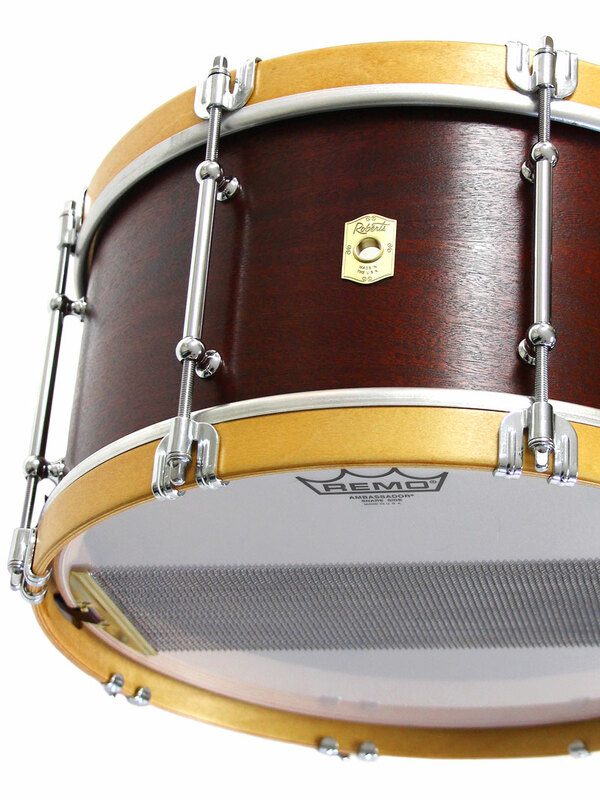 Our kick drum hoops are 12 ply maple hoops which offer optimum warmth and fullness of tone and are stained with a hand-rubbed, low-lustre finish. Our drums are equipped with high-quality, low-mass hardware to give you a consistent and rock solid setup, night after night. You have the choice of vintage-style gull wing bass drum spurs or modern telescoping spurs as well as butterfly or die cast bass drum claws. Rack and floor tom brackets are mounted directly to the drum shell and our floor tom legs come standard with suspension feet, for enhanced resonance and tone. 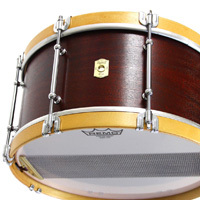 All snare drums exclusively feature Dunnett or Gibraltar throw-offs. Choose between the R4, R7 or Classic Deluxe for wood drums or the R4L or Classic Deluxe for beaded metal drums. We offer over 25 classic wrapped finishes - from sparkles to pearls, oysters, onyx and ripples. 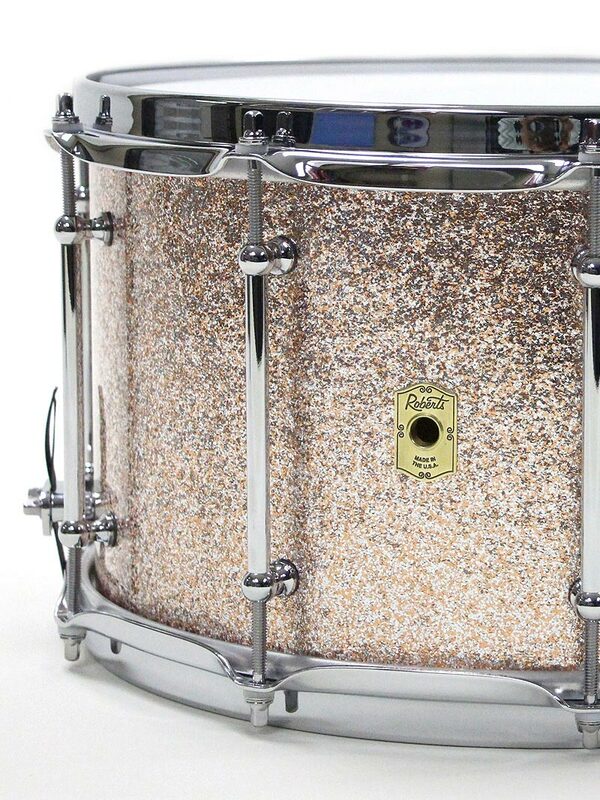 These finishes give our drums an instantly classic look while offering the durability that is demanded by life on the road. You will find our most popular wrap choices below - but feel free to ask about the availability of other custom wrap finish options. It is truly a humbling experience to have drummers from all over world playing our drums. We feel honored and blessed by the people who have partnered with us over the years. They range from touring and session players to local and church drummers and everyone in between. Their positive feedback has been overwhelming, and is much appreciated! 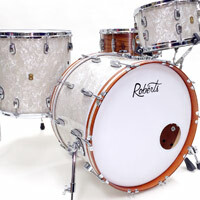 "Roberts Drums are the best blend of modern and classic design. The intentionality with their shell construction and quality control speaks to the humble integrity that you see in every piece that leaves their shop. I've had the opportunity to collaborate with Brian at Roberts Drums and together, we've designed an incredible snare drum that I'm proud to represent as my Signature snare drum. 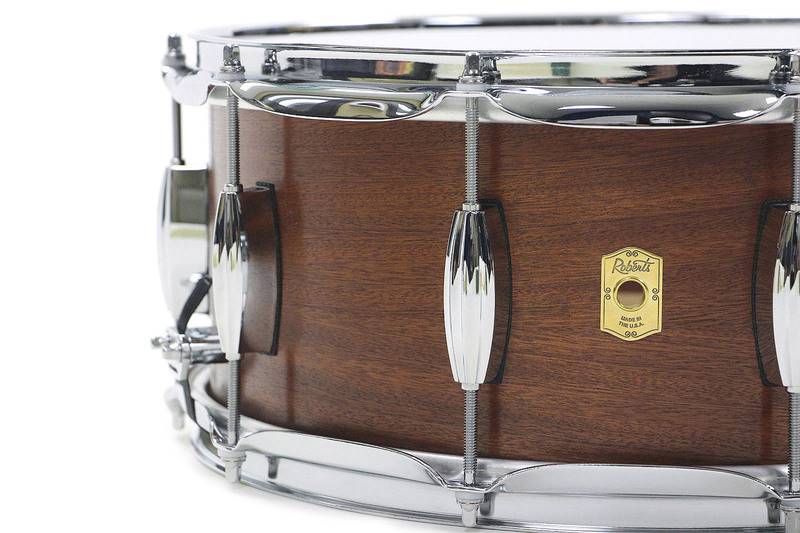 This beautiful solid-ply, red walnut snare is simply amazing! It has proven to be the right drum every time for any situation. If you're lucky enough to ever play one of these drums or drum sets, you'll be in awe!" "In my opinion, Roberts Drums are the best modern drums being made. Their tone has everything I love about vintage kits — warmth, vibe, character. But they have an added essence of mojo that only comes from something hand-crafted and modern. Roberts Drums have endless Mojo and Tone for days, my friends... Mojo and Tone for days." "I have always been a huge fan of vintage drums; warm tones with diverse textures, which is something we heavily incorporate into our band's sound. I have played many different kits that try to replicate this sound. But none have come as close as Roberts Drums. I was introduced to them by our producer. Having discussed our sound and desired tones, he had a snare shipped out shortly before recording. From the moment we began tracking, I was simply blown away. It was the first drum I had come across that checked every box. 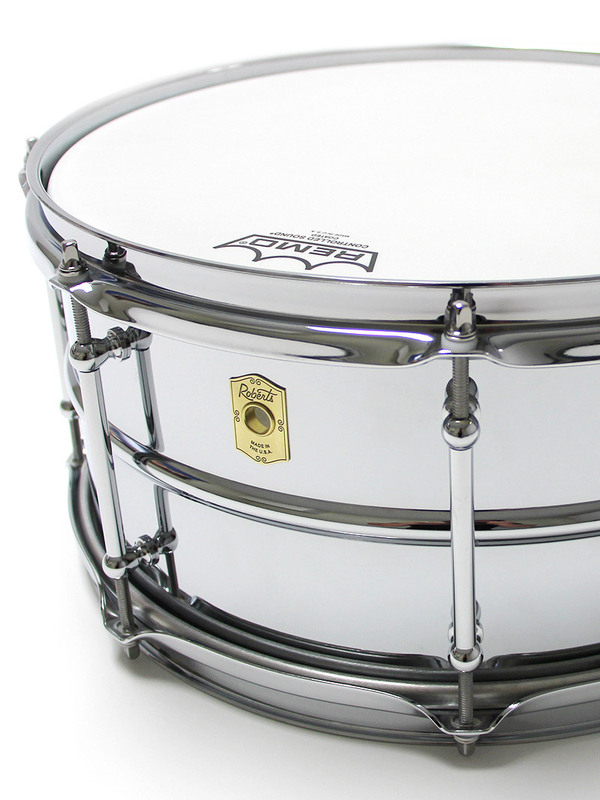 The dynamic tonality of the snare was just a joy to explore. We tuned it high and it packed a real crisp sonic punch. We tuned it low and its tones were dark, resonant and warm. When they say "Modern Drums with Vintage Soul" they're correct! It succinctly encapsulates exactly what you'll be getting...drums with soul made by a passionate craftsman. " Besides being the most beautiful and well crafted drum I own, my Roberts 14x8 mahogany snare is one of the most responsive snares I've ever played. I'm finding myself using it in almost every situation, both live and studio. When it comes to tuning, it is extremely versatile. I can crank it up high for a nice crack on pop/rock projects, or tune it low, open and breathy for folk/Americana tunes. Every gig I bring it to, the FOH engineer asks me about it! Brian cares about the details and takes pride in making drums that sound one of a kind. I'm glad I get to be a part of the gang. Thanks Brian! "Well, where do I start? Roberts Drums sound so tasteful and rich, and I've never played a kit with such depth and warmth at the same time! Plus the craftsmanship is top-notch. Brian's kits and snares have always made a huge difference in my studio work and my live performances. And his work ethic is remarkable! Anything made by Roberts Drums is innovative and definitely top of the line! Best of the best! I approached Roberts Drums after seeing their beautiful work on display on Instagram. I was looking to partner with a drum company that offered boutique equipment but also approached their craftsmanship with integrity. After declining an endorsement with a major player in the custom drum scene due to their overpriced equipment and lack of quality control, I was searching for someone who had an eye for detail and integrity in their approach to drum craftsmanship. I found my experience with Brian at Roberts Drums to be very enjoyable - from getting a quote and ordering to delivery all the way to Australia. I felt Brian was as excited as I was to receive my new black nickel over brass snare drum, which sounds better than both my vintage and modern Black Beauties! 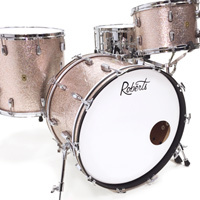 I would recommend Roberts Drums to anyone who is looking for great boutique equipment with excellent customer service delivered with genuine passion and integrity. 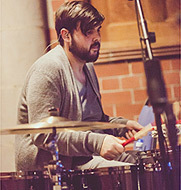 "Our church was in the final process of our new building project and we were researching what drum kit to purchase. We heard some great things about Roberts Drums from the church and drumming community so we decided to take a trip and visit Brian to see what all the hype was about. Let me just say that words cannot describe the incredible sounds coming from these drums! Our drummers and FOH engineers were blown away at what they were hearing; balanced, warm and massive drums that leave you wanting more and more, yet surprisingly tame on over all stage volume. Needless to say, we ordered a kit right away. From the fantastic customer service before, during and after to his personal delivery and even helping us chose the right cymbals for our new kit, Brian has gone above and beyond. The only word that properly describes our overall experience is, "wow"! Thank you Brian, you have truly blessed us." 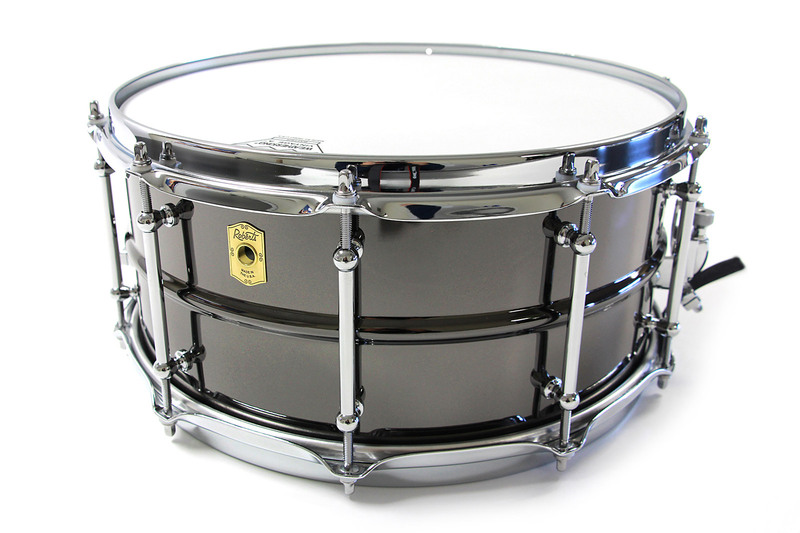 "I've been drumming full-time for the past 5 years and was looking to upgrade my snare. 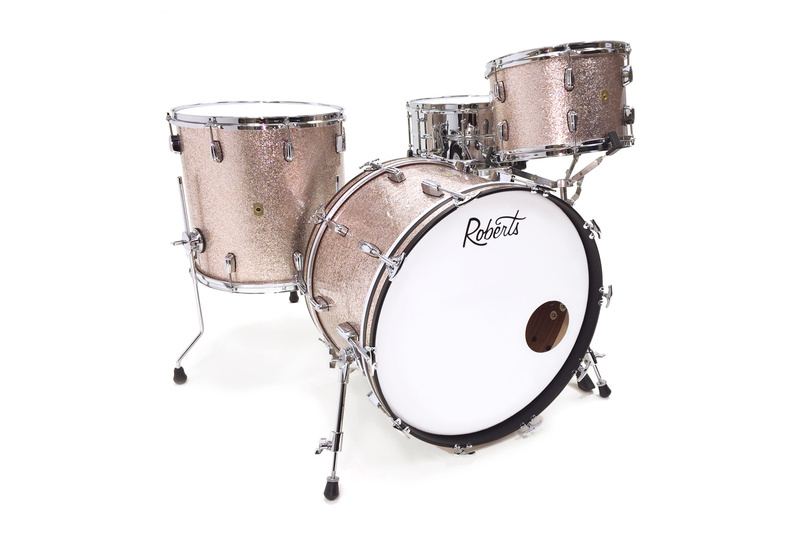 I was unhappy with my first upgrade, and then I came across Roberts Drums. Brian was quick to answer my questions and concerns, recommended the best sizes and finishes for my needs, and kept me updated throughout the whole process. I've been playing this snare for one year now and I couldn't be happier! 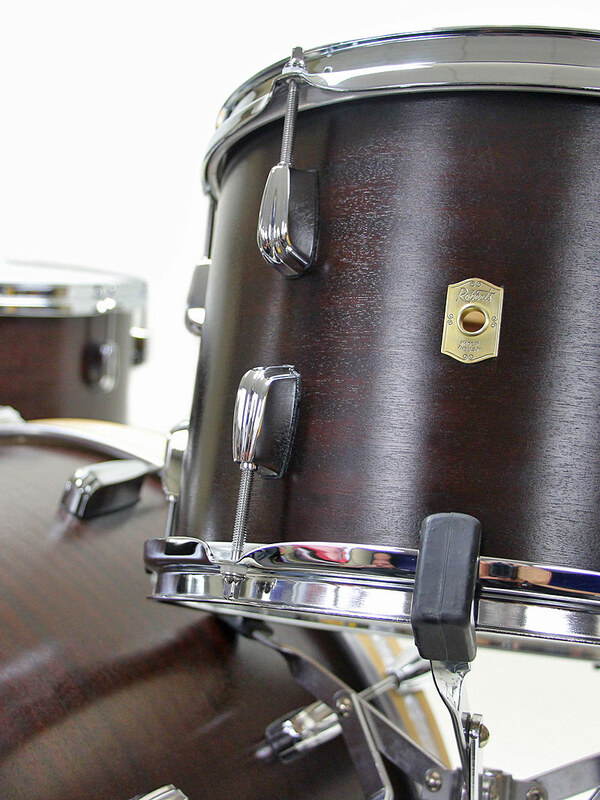 From the detailed craftsmanship to the tonal qualities, this drum is really on a different level. I now recommend Roberts Drums to any drummer I talk to, and I'll be back soon to finish changing over the rest of my kit. Keep up the killer work!" "Having been a drummer for ten years, I value the importance of both the tone and quality of drums in creating the best overall performance. When I first heard a Roberts kit live, I knew it was the one for us (our church). 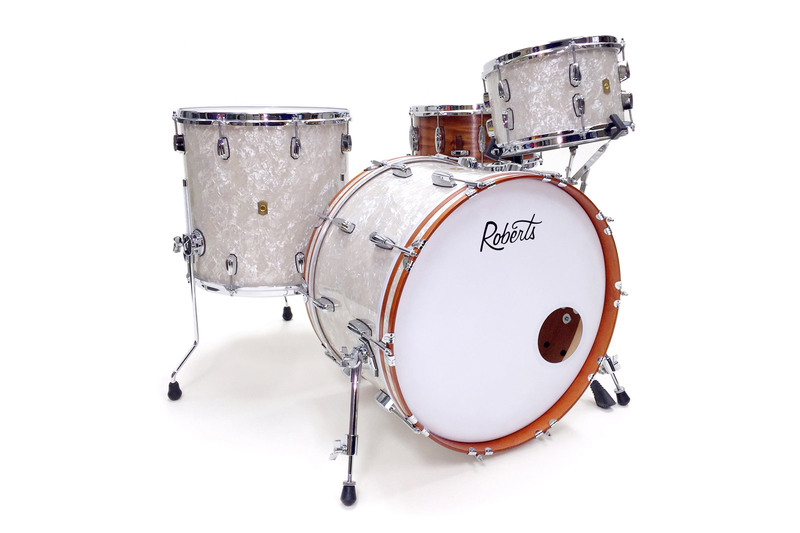 The mahogany shells provide an amazing warm and vintage tone, while preserving the modern feel and attack of a state-of-the-art kit...not to mention, the craftsmanship is out of this world. It is by far the best-sounding kit I've ever played!" "I've had the pleasure of playing two different Roberts snares since I discovered the company a year or two ago. After tracking a record with one that belonged to a friend, I had to get one of my own. One quick email with Brian and I knew we were on the same page. I'm all about vintage drums-both in the looks department and in the way they sound and feel. 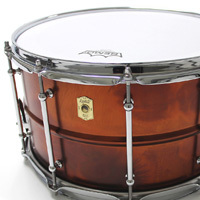 Roberts Drums was the first company I found that was making quality drums with those two specifications in mind. 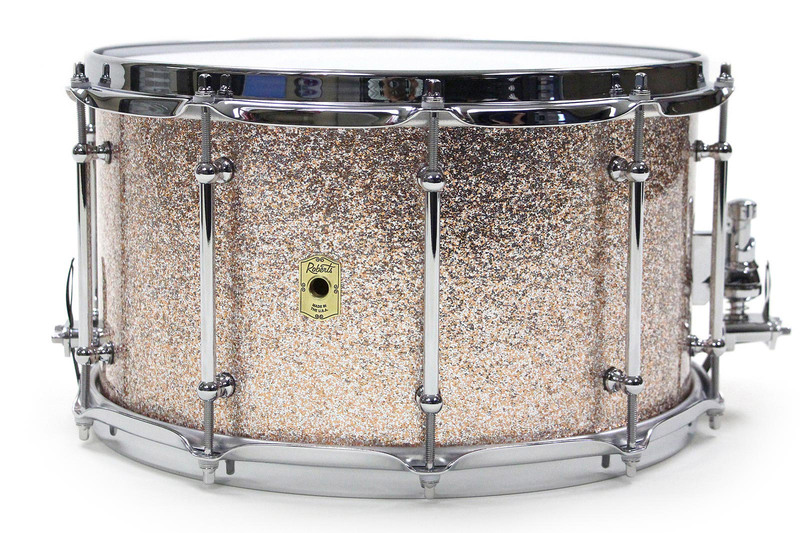 My Mahogany-Poplar-Mahogany snare in beautiful Champagne sparkle gets as much work as my Ludwig Black Beauty. The love and detail Brian puts into hand crafting each drum himself along with his straight shooting, quick response customer service puts Roberts Drums on top of any custom drum company I've ever worked with. Custom and vintage aren't words that typically go together, but this is as close as you'll ever get to the custom vintage drum kit you've always wanted." 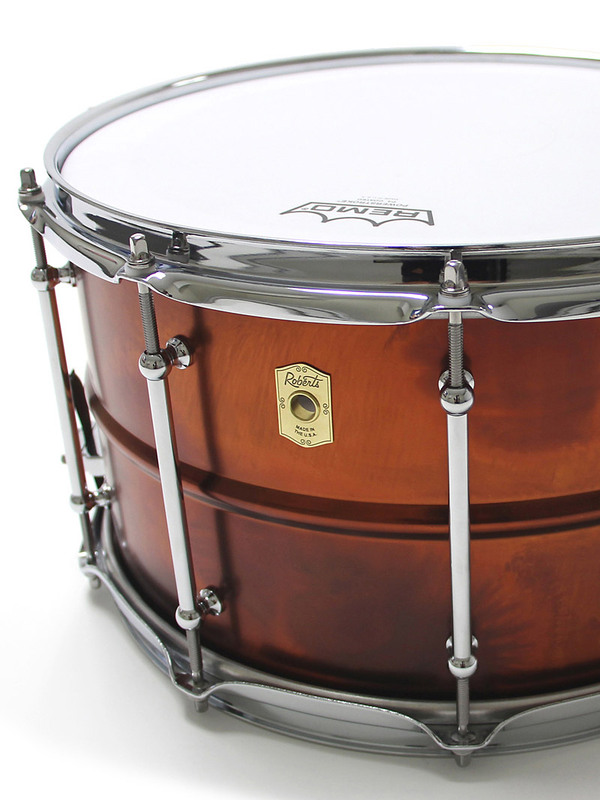 "This snare drum has seriously exceeded all of my expectations! The unboxing was a glorious moment... I swear I just looked at the drum in awe for a good ten minutes! It sounded incredible when I first took it out of the box and started to play around with it. 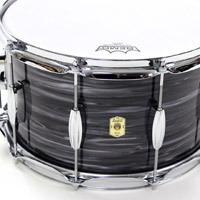 However, I really started to appreciate the tone of this snare when I heard it through the mic's on Sunday at my church. In fact, our sound engineer came up to me and said, "I've never heard anybody tune that black beauty better than you have" (the snare that the church owns). I told him that it was actually my own personal snare - so congratulations on beating Ludwig! The mids and lows sing, and the high end and tight crack also has been a favorite that I've been playing with and enjoying for the past few days. There's so much control in this drum and it's extremely easy to play. Thank you for doing such incredible work."